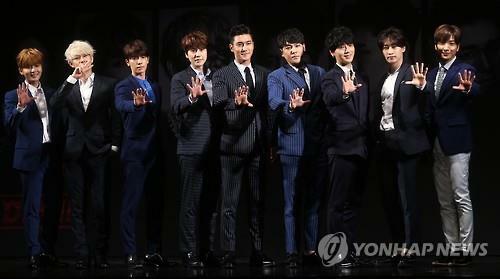 SEOUL, July 10 (Yonhap) — K-pop boy group Super Junior will return to the K-pop music scene in October with less members, its management agency said Monday. Originally consisted of 11, the restructured team will be made up of seven members — Leeteuk, Heechul, Shindong, Yesung, Eunhyuk, Donghae and Siwon — said Label SJ, the special label created by S.M. Entertainment exclusively for the globally well-known K-pop group. Eunhyuk, Donghae and Siwon, currently serving in the military, are expected to be discharged soon, with the first two this month and Siwon next month. 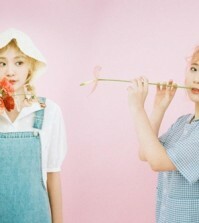 Once they are discharged from their respective units, the group will start recording a new album, the agency said. Among the four absent members, Kangin is believed to be staying away from team activities for the time being, after being arrested for driving under the influence last year. Sungmin, criticized for a lack of communication with fans, will also refrain from being out in public. Ryeowook and Kyuhyun are fulfilling their military duty. In Korea, all able-bodied men have to fulfill military duty for around two years. 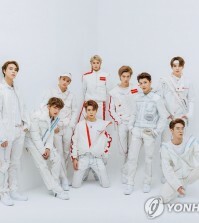 While the group plans to release the new album around October, the exact date hasn’t been determined yet, according to the agency. After a long search finally i came to a place where i got the nba 2k17 locker codes which was generated within a second and was very safe to use in any operating system.